The secretariat of Baghdad revealed on Sunday that 28 foreign companies offered bids for the purchase of waste and turning it into electrical energy. He appealed to the General Secretariat of the Council of Ministers to expedite the decision to refer the waste sector to investment for its importance to the service reality of the capital. "The secretariat is studying offers from 28 foreign companies to buy the waste and convert it into electrical energy," said Assistant Director of the Department of Environment and Solid Waste in the Secretariat and Sami Abdul Amir in a statement quoted by the official newspaper " Minister of the need to expedite the referral of the waste sector to investment after the nomination of three specialized companies submitted applications for waste investment. He added that the investment offers include three forms, the first with the conversion of 2000 tons per day, the second conversion of five thousand tons per day, in addition to the last offer, which provides for the investment of all waste of the capital, ranging from (8-9) thousand tons per day to meet the need of Baghdad entirely of electricity. 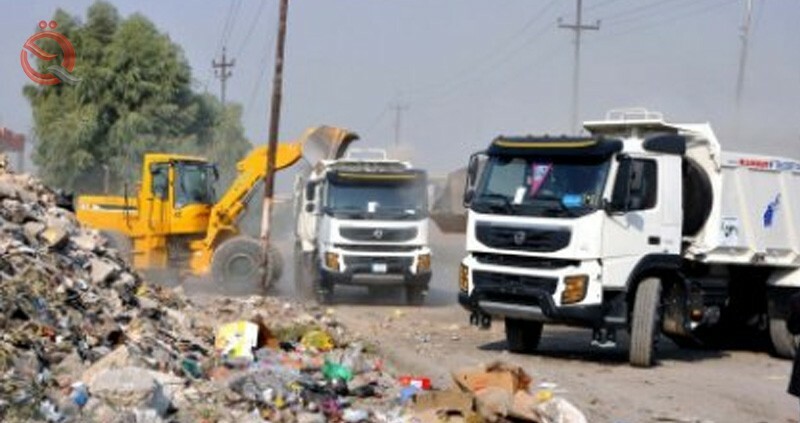 Abdul-Amir said that the aim of allocating the waste sector to investment is to provide the money allocated to waste disposal of 250 million dinars per month, despite the lack of environmental approvals from the Ministry of Health for the sites of Abu Ghraib and Al-Nabai'i, which receive daily more than 8,000 tons of waste. Reduce pollution rates and spread diseases and epidemics that may be left behind by landfills. He confirmed that one of the companies made an offer to buy one ton of waste for five dollars and then sells the energy produced for the Ministry of Electricity by 4.5 cents per kilowatt, while the statistics to import kilowatt from neighboring countries by 11 cents, revealing that the Secretariat prepared eight Criteria for the selection of the provider: determination of the cost of implementation, the method of filling used, the quantity of electrical energy produced, the economic aspect, and the reduction of time and labor for the mechanical and human effort. The assistant director of the Department of Environment and Solid Waste: The criteria for referral also included the need for lack of pollution rates, and adoption of the best ways to invest the waste to extract methane generated electricity, as well as the benefit of the remaining as fertilizer and animal feed.